HI SERIES vacuum pump, can meet the customer's high degree of vacuum, easy to install. Operation and maintenance is simple and so needs a break the existing pattern of new concept products. Displacement from 12 to 108 m3/hr , complete specifications. *Sophisticated, simple structure, easy installation and maintenance. *Prevent backflow pump oil vapor into the vacuum equipment is causing impacts and pollution. 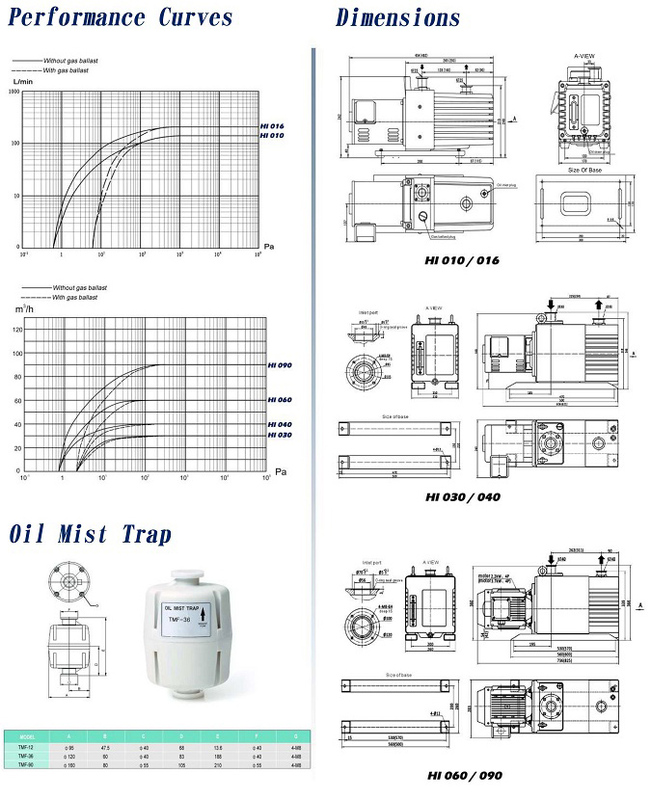 *Constant pressure oil circulation design. *The gas ballast valve adjustment means.